Raise the flag, shoot off the fireworks, and crank up the barbecue grill – it’s Independence Day! 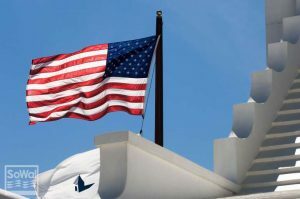 No place celebrates our nation’s birthday like the Emerald Coast, and we’ve curated a selection of special events from which to choose. 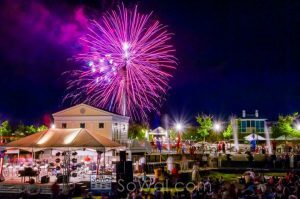 Seaside’s patriotic celebration begins with the Patriotic Pops concert, featuring the Pensacola Symphony Orchestra at 7:30pm on July 3rd. Start the following day off with the annual July 4th Parade on Scenic 30A which concludes in Seaside. That night, make sure to reserve your spot on the lawn for a festive concert at 7pm followed by a fireworks finale at 8:30pm. The Rosemary Beach Summer Concert Series features a new show each week. Settle down on the East Long Green with your chairs and blankets to enjoy a night filled with great music. The Rosemary Beach Rock & Soul Revue is featured on Monday, July 2nd. 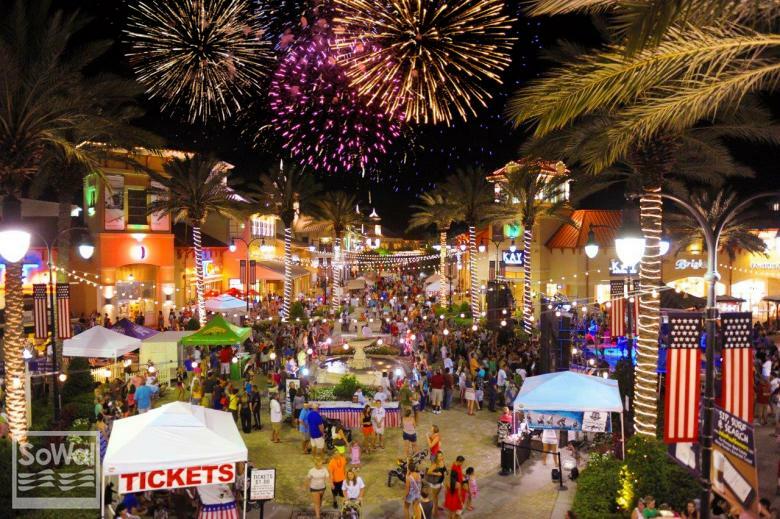 Kick off your 4th of July celebrations at Destin Commons. Now in its 8th year, Smoke on the Coast brings together more than 17 area restaurants and BBQ aficionados to prepare their best dishes in hopes of winning up to $15,000 for Destin Commons’ partner charity, Coins for a Cause. There will be live music starting at 5pm and BBQ tasting at 6pm. Help determine the People’s Choice winners by tasting your favorites for $1 per sample. The evening will end with a patriotic firework extravaganza. 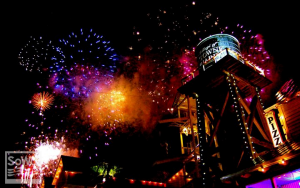 An all-day affair, the 4th of July Celebration at Rosemary Beach begins with a Bike Decorating Contest and Breakfast at 7:30am, followed by the Bike Parade throughout the Town Center at 8:30am. Field Day activities begin at 9am on Western Green with sack races, water balloon toss, games, and prizes. Later on, the band “Like Totally” Hep Cats will perform on Western Green starting at 6pm. 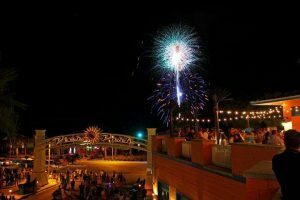 Enjoy a fireworks display from the beach at 8:45pm. Blankets and lawn chairs are welcome. Every Wednesday this summer, including Wednesday, July 4th, come by the Baytowne Marina bait shop to receive a fishing rod and participate in the Sandestin Family Fishing Tournament. The family to catch (and release) the biggest fish, and provide a picture to the bait shop when they are done, will receive a prize! Participants must bring the photo back by 1:30pm. 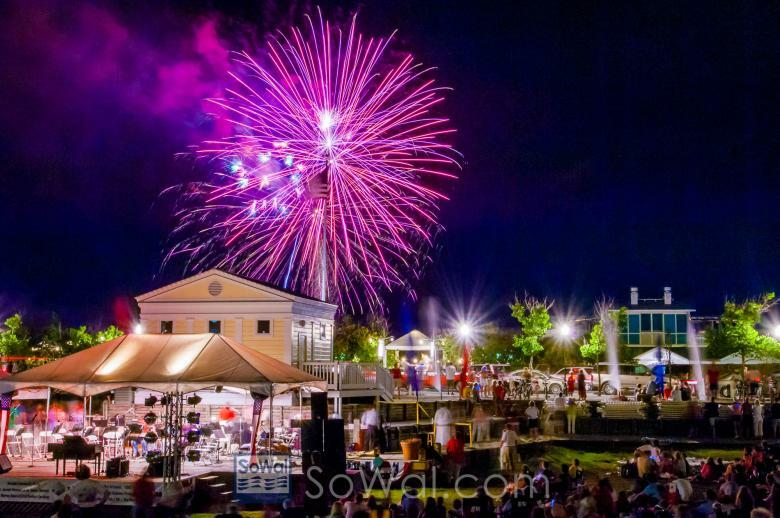 There will be kids’ crafting, face painting, and balloon sculpting, along with live music performed by Donovan Keith & The Funky Meat from 6pm to 9pm, at Red, White and Baytowne, taking place at Sandestin in The Village of Baytowne Wharf. A fireworks celebration follows, starting at 9:15pm. 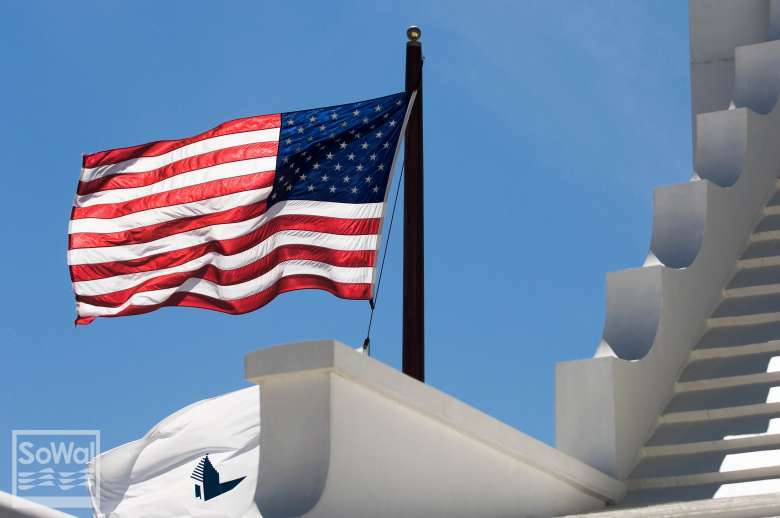 Celebrate Indepence Day at Alys Beach with live music by the Celebrity All-Star Band followed by fireworks. All this will take place at Alys Beach Amphitheatre. Bring blankets, chairs, and your favorite beverage. It’s free and open to the pubic. The cast of the Seaside REP perform Beauty and the Beast at North Barrett Square in Rosemary Beach every Wednesday night this summer, including Wednesday, July 4th. The production is free and open to the public. Bring a chair or blanket, snacks and drinks, and enjoy the show. In case of rain, the production will move to nearby Town Hall. 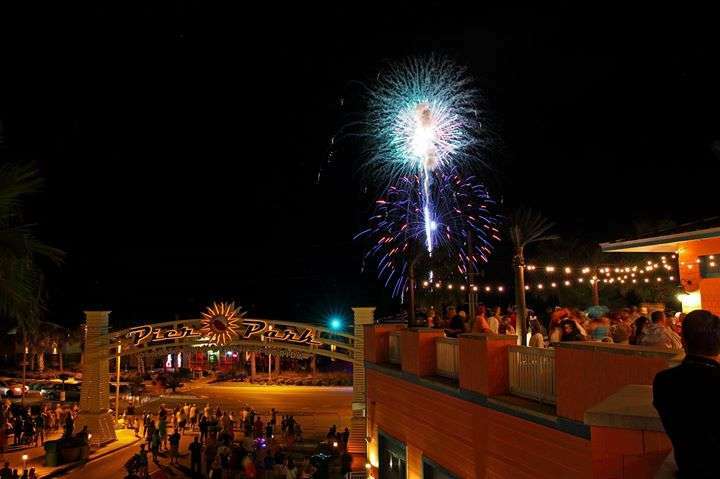 The largest fireworks display on the Gulf Coast, Star Spangled Spectacular Fireworks takes place at Pier Park in Panama City Beach. 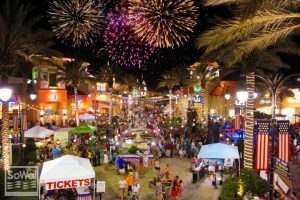 Stroll the streets for a fun night of shopping, entertainment, cocktails, and dining at this popular outdoor lifestyle center on Front Beach Road. Also in Panama City Beach, enjoy the waterfront restaurants participating in Freedom Rocks. Bring a chair and a blanket to Treasure Island Marina’s grassy lawn for the Freedom Rocks fireworks show. Choreographed music will be simulcast on the Kickin 103.5 app, available on kickin1035.com. There are so many opportunities to show your patriotism this Independence Day. Choose one or two of the events and let freedom ring!